God called Pastor Wade to serve in Oswego in 2004. He was born and raised in Canada and has been involved in ministry in both Saskatchewan and New Jersey. Previously he had served in associate staff positions and was involved in overseeing youth and discipleship ministries. He holds a B.A in Pastoral Ministry and an M.A. in Church Ministry. Pastor Wade has a very busy home life. Wade and his wife Wendy have seven children ranging from ages 6 to 24. The last three of their children are adopted. Pastor Wade loves the outdoors and enjoys fishing and hunting. He also enjoys watching hockey, and watching his children play sports the sports they enjoy. Pastor Wade has a heart for the lost, and the body of Christ. His desire is to see the church continue to be a light in a dying and broken world. Pastor Verlyn has been ministering as associate pastor at Oswego Alliance since 2011. Like Pastor Wade, Pastor Verlyn also was born and raised in Canada. Pastor Verlyn has a B.A. from Canadian Bible College and has been in ministry for over two decades. He brings a passion and zeal to the ministry here at Oswego Alliance. He enjoys sports, fishing, and especially being social. Pastor Verlyn is married to our worship director, Carla Ratzlaff, and has three children. Carla has been worship director at Oswego Alliance since the spring of 2013. Carla brings a passion for worship and a heart to lead others into worship. She has a B.A. from Canadian Bible College and this is the third church in which she has served as worship director. She is married to our associate pastor and has three kids. Danny has been a youth director at Oswego Alliance Church since January of 2016. He has been in youth ministry at our church since January 2009 shortly after he moved up to Oswego from finishing Basic Training for the army. Danny grew up in New Jersey and always felt a calling to youth ministry. His excitement for helping teens grow in the Lord is contagious! Danny's hobbies are unending but his favorites would be Dunkin Donuts, animals, coaching soccer, working with youth and directing Camp Foundations, a children's summer daycamp. 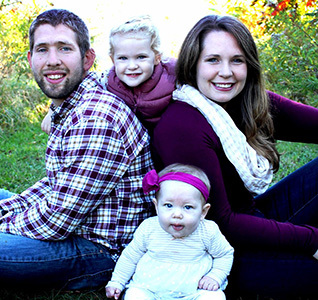 He and his wife, Alyse lovingly serve in ministry together and they have three daughters.